Fiberglass ribs bend and flex in windy conditions making the 735 more durable for commercial use. 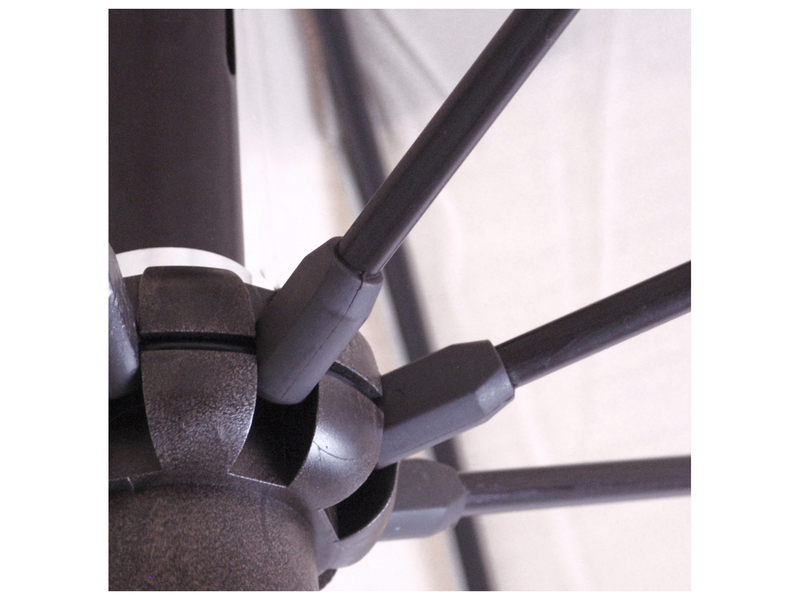 the coupling is concealed inside of the pole so there is no exterior hardware showing. 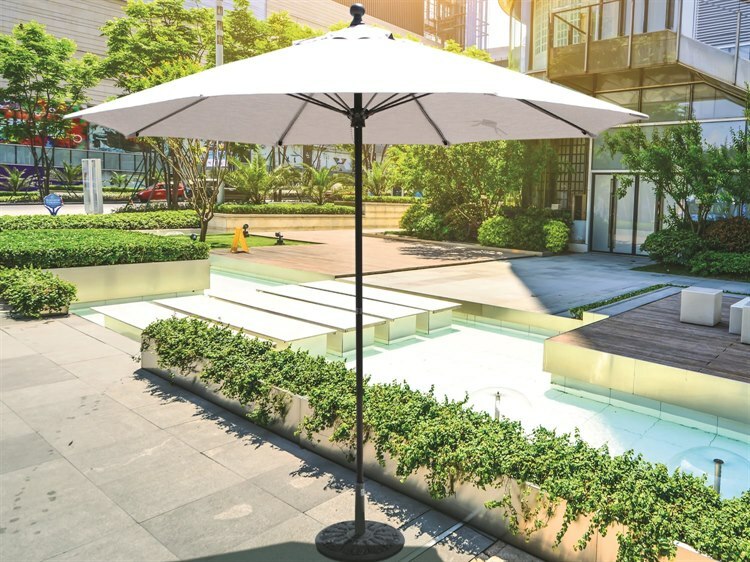 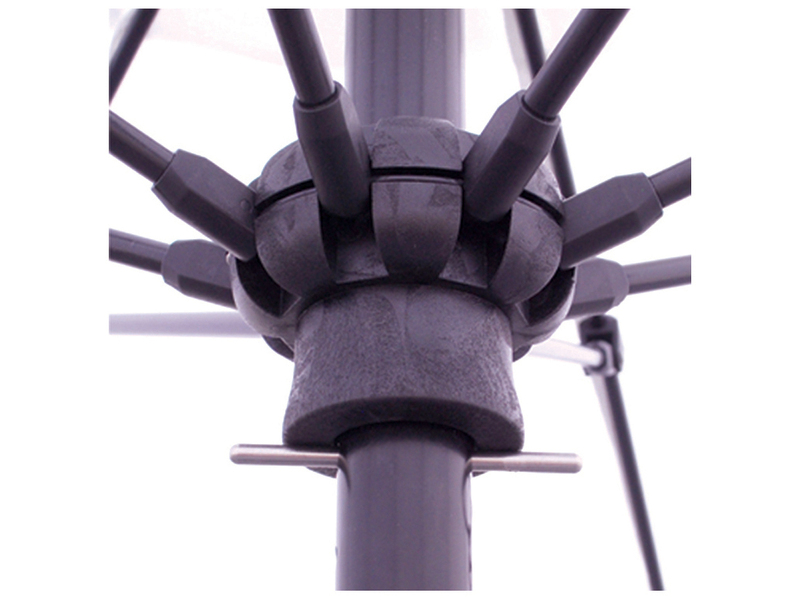 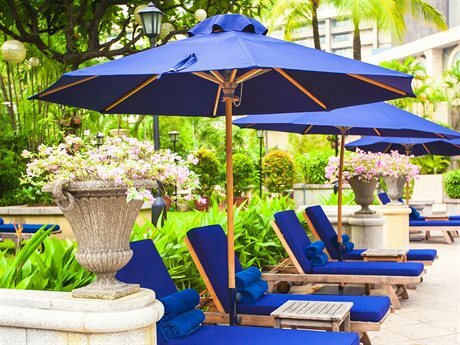 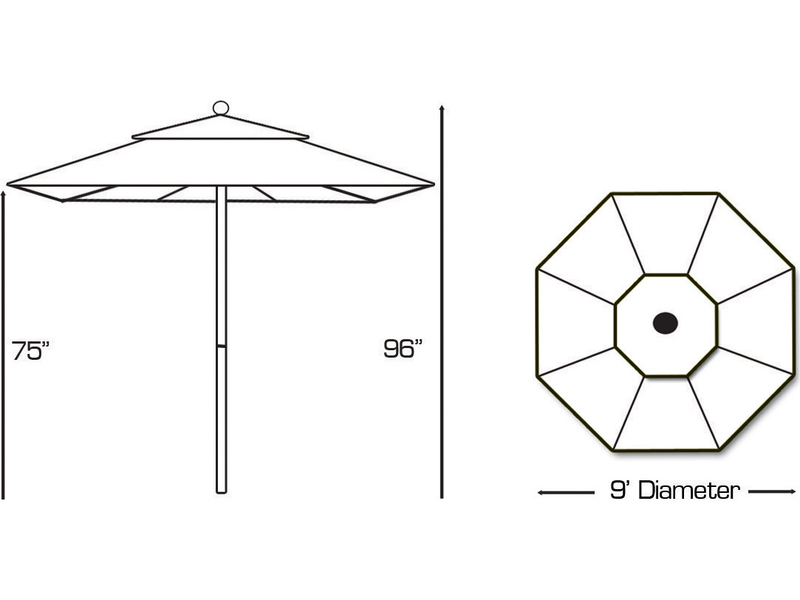 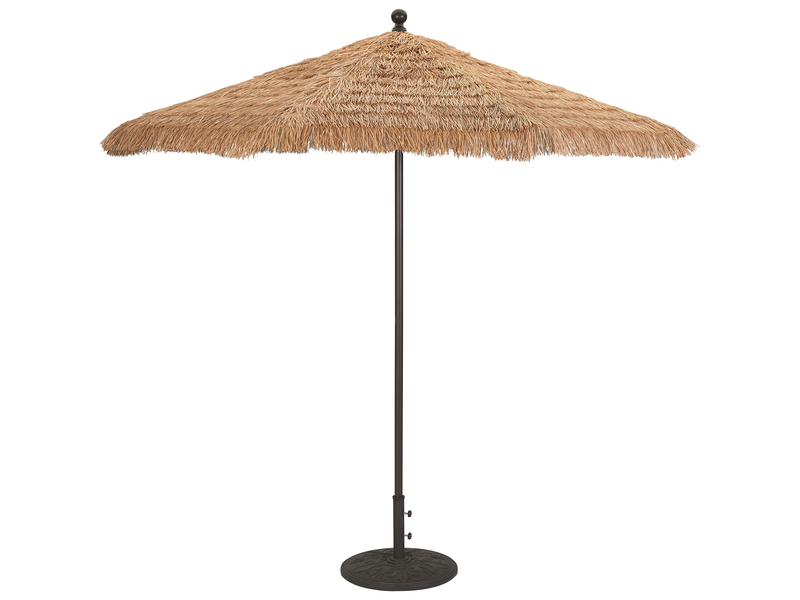 The solid resin hub will not crack or shatter if the umbrella strikes the ground. 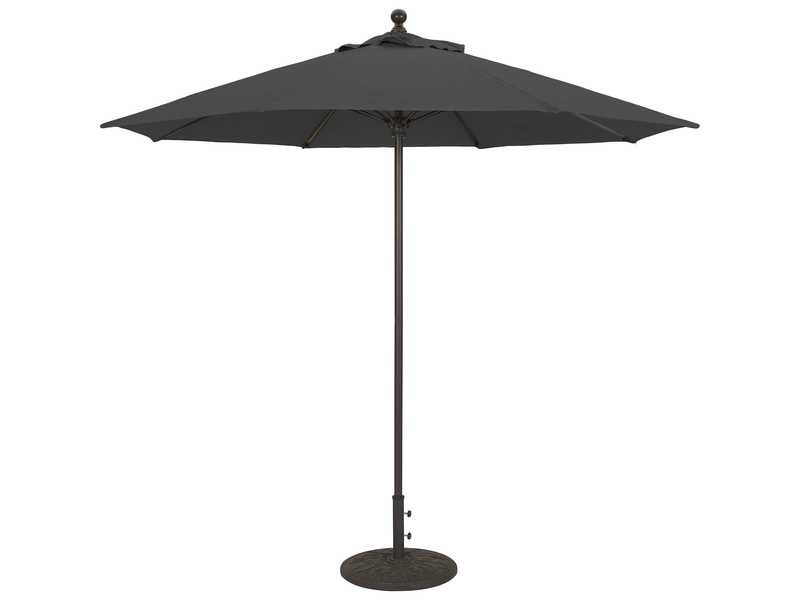 Once we set it up you can see how durable it is, we have a very windy back yard and this umbrella performed well- much better than the rigid frame models we had before.